An entrepreneur, world traveler and gemologist, Kristin Richard launched KAVIAR® Pearls in 2008. Her vision: To be the world’s leading provider of socially and environmentally sustainable cultured salt water pearls, and to share the story of the pearls, from oyster to client, one person at a time. 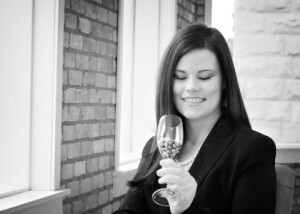 Kristin is passionate about both pearls and the industry. She personally travels to pearl farms all over the world to lend a hand to harvesting, and then selecting, expertly matching and exporting her products, with the help of local pearl farming families. Upon returning to Canada, she commences the creations she devised while selecting her pearls in the light of their natural environment. This is an opportunity for her to re-connect with each pearl; she has inspected each one hundreds of times by now, and knows each organic gem so intimately, she will share the journey of these pearls with her clients. She dove head first into the pearl industry after achieving a Graduate Gemologist designation, the most coveted and prestigious professional accreditation in the industry. She then continued on to earn a GIA Graduate Pearls Diploma, a comprehensive study focused entirely on the world of Pearls. *A portion of all profits are donated annually to KIVA (www.kiva.org) supporting female entrepreneurs from around the world.